Apologies for my lack of posts of late – I’ve been incredibly busy for the last couple of terms at the Art Academy now that I am full time. The good news is that this means that I have been busy creating (yay). Left is a bust of Fiona from our life class – I opted to do her portrait as she has such striking features and gorgeous collar bones. 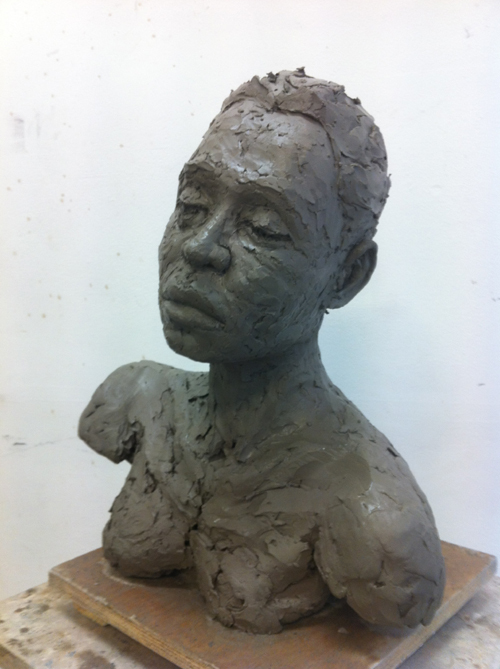 She’s still currently work in progress – so more to do over the summer. I’ve also been working on a number of site specific sculptures at college – this has been so stimulating that I’ll do a separate post on this soon. 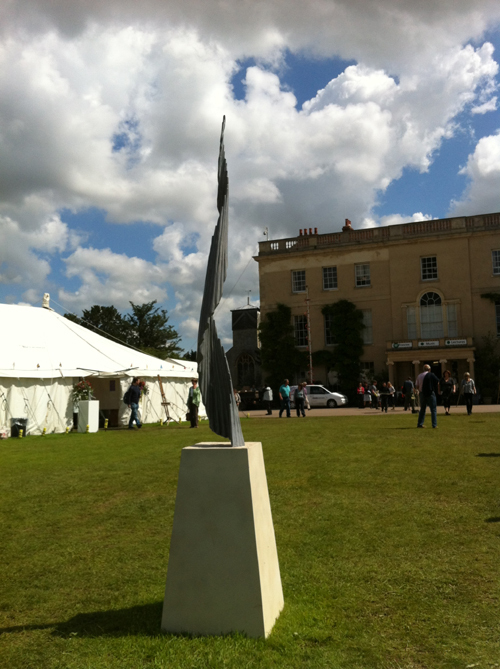 As a taster, below is my sculpture ‘Ascension‘ as seen at Art In Action 2012 (btw it has also been selected for the Royal Parks Savill Garden Exhibition and is on show there until the end of September). The other main thing occupying my mind has been our ‘personal project’ designed to help us as we enter our third and final year. The idea was to encourage us to look within to find out what motivates us as artists – really to find out what our ‘thing’ is. This is not as easy as it might sound – again, something I will come back to in a future post. As always the Art Academy was at Art In Action – only my second year but once again, so much fun and my two boys had a blast. We were teaching, exhibiting and demonstrating. 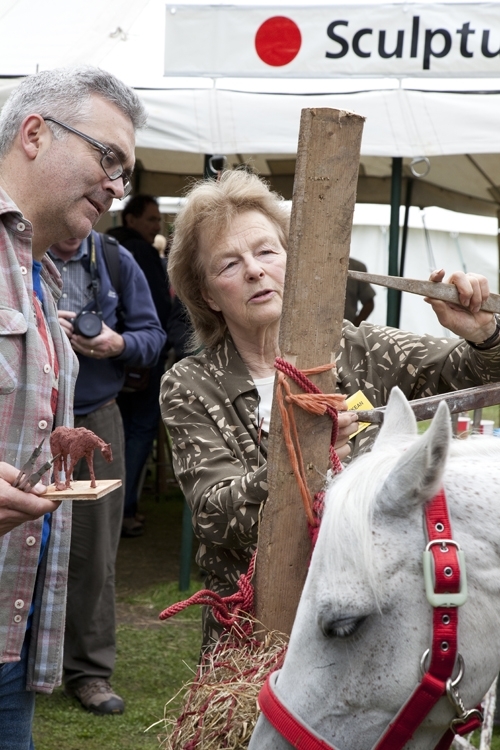 This year the demonstrating bit was a real challenge as we had a beautiful (and very patient) pony to sculpt. 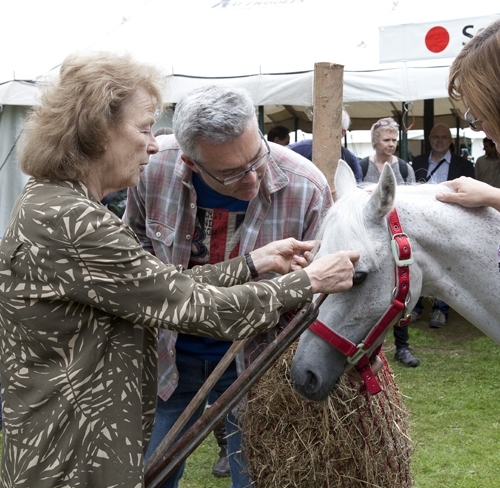 Fortunately we also had Lorne McKean, our Principal’s mum and one of the best equestrian sculptor’s there is to help us. 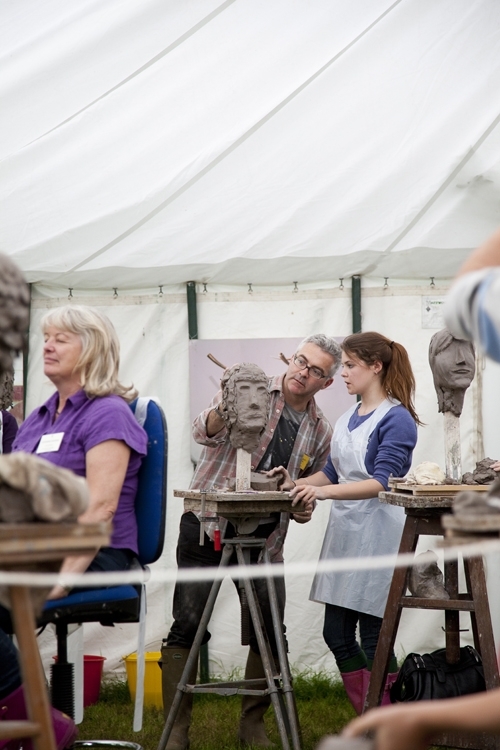 As always I enjoy the teaching part – it’s incredibly rewarding to play a part in getting someone excited about sculpture and it always amazes me how well the students do. This entry was posted in abstract sculpture, animal sculpture, art exhibition, figurative sculpture, gary scott blog, metal sculpture, sculpture blog, Uncategorized and tagged animal sculpture, art exhibition, figurative sculpture, gary scott, gary scott blog, gary scott sculptor, gary scott sculpture, metal sculpture, sculpture blog, sculpture exhibition. Bookmark the permalink. Wow! 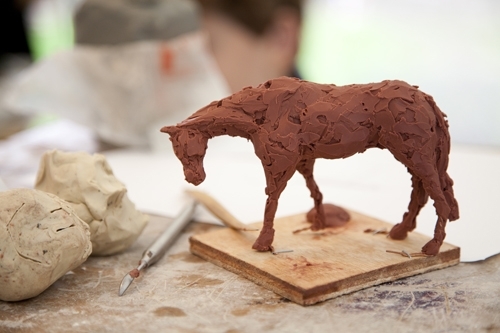 What a talented sculptor you are! Visual arts are really NOT my forte (I stick to writing and music) so I have TONS of respect for you and those like you! Such beautiful creations!